Erewash Council has approved plans to turn an Ilkeston pub into an amusement centre. 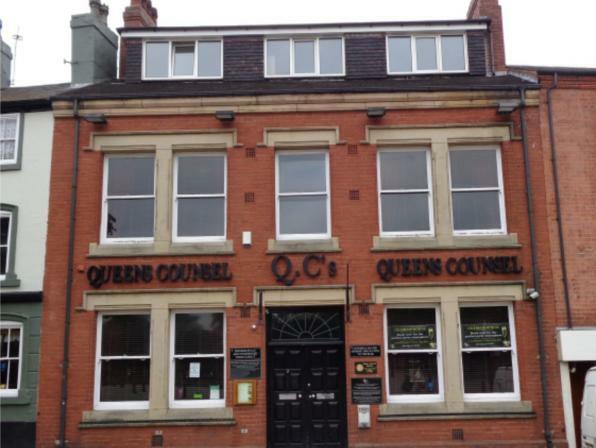 Lifewave Limited, the owners of Queen’s Counsel in the Market Place have successfully applied for a change of use. The former solicitors offices will become a place of ‘casual entertainment and relaxation’ for adult town centre shoppers. Ilkeston already has two adults only amusement centres, Cashino and Oak Amusements in Bath Street. The submitted plans said the amusement centre would be attractive to adults of all ages and add vibrancy to the town centre. It would also ensure the site continues to play a positive economic role in the local community and provide the existing amusement centres with healthy competition. The former pub’s licence to sell alcohol will have to be surrendered as the sale of alcohol in adult gaming centres is strictly prohibited. It is anticipated that the new provision will create six to eight full time jobs.